From the bizarre to the brazen. From the puzzling to the petrifying. The first seven months of Donald Trump’s stay in the White House has seen it all. Because of his unorthodox and overtly erratic governing style, a seemingly endless number of questions about the psychological health of America’s 45th President have come about. Is he mentally stable to hold such a distinguished position? Is he a pathological liar? Does he have dementia? Is he going to get us into a war? To answer questions such as these, with the goal of illuminating the psychological mindset of Donald Trump, it’ll be important to introduce the most widely held assessments coming from mental health circles and also first hand insights from some of Trump’s past associates who’ve gotten the rare chance to intimately observe the President’s habitual ways of thinking and behaving. Once we have a baseline understanding of the man Donald Trump has been throughout his life, we’ll then be able to shift our focus to dissecting his first seven months in Washington. Ultimately, by taking the systematic approach of bringing about the valuable opinions of mental health experts, examining his past behavioral and business history, and comparing our findings to what we’ve learned since his inauguration on January 20th, 2017, we’ll gain access into the inner workings of the most polarizing figure to ever call the White House home. It hasn’t been since the 1964 presidential election that the general public has taken such a keen interest in the mental state of a prominent politician. Consequently, this was also the year when the debate about whether mental health professionals should publicly comment on public figures, who they haven’t previously examined, first started. The issue arose after a controversial quarterly publication known as Fact Magazine polled psychiatrists about the psychological state of the Republican party’s presidential nominee Barry Goldwater and published their damaging findings in an issue titled The Unconscious of a Conservative: A Special Issue on the Mind of Barry Goldwater. Following a lopsided lose to Democratic candidate Lyndon B. Johnson, Goldwater went on to sue the magazine’s editor for libel and won $75,000, the equivalent of $580,000 today. In 1973, four years after the famous court ruling, the American Psychiatric Association (APA) established the Goldwater Rule which states it is an unethical practice for psychiatrists to publicly voice their professional opinion on public figures without working with them firsthand. Yet still, due to Donald Trump’s unsettling behaviors while holding the nation’s most impactful position, to go along with an ethical duty to warn people about the psychological state of individuals who can potentially harm others, numerous mental health professionals have defied the Goldwater Rule by openly speaking about the psychological mindset of Donald Trump. Although there has been talk within mental health circles about Donald Trump showing signs of mild cognitive impairment or potentially even dementia, the most prevalent assessment has been that he suffers from narcissistic personality disorder (NPD). The Mayo Clinic tells us that this mental disorder is characterized by an exaggerated sense of self-importance, an inability to empathize with others and a tendency to take advantage of people without regard for their well-being. When combining characteristics such as these with the similarly common held belief that Trump shows signs of emotional instability, often leading to irrational reaction of anger and rage, it is clear to see why many mental health experts are speaking out despite their profession’s ethical standards. Just how many you may wonder? Although Donald Trump’s erratic behavior, deceptive speech and malicious tweets have caught many in the mental health community off guard, those who’ve known the man best certainly haven’t been surprised. Based upon the accounts of those who’ve intimately known him throughout his life, Trump’s always been egotistically driven, searching for individual greatness, and acted with little moral regard for the feelings and well-being of others. Yet still, there may not be a single individual who’s gained a better objective understanding of Donal Trump’s psychology than the man he commissioned to ghost write his 1987 best-selling book Trump: The Art of the Deal. Over the course of 18 months,Tony Schwartz got the first-hand opportunity to observe and interview Trump in his natural habitat as he went about his life traveling between his real estate proprieties, going to meetings and of course making deals. In July of 2016, some 30 years after spending the better part of a year and a half by Trump’s side, Schwartz was faced with the reality of Trump becoming President, something he saw as a terrifying proposition, and decided to open up about his one time boss. Donald Trump glaring at Hilary Clinton during the October 9th, 2016, Presidential Debate. 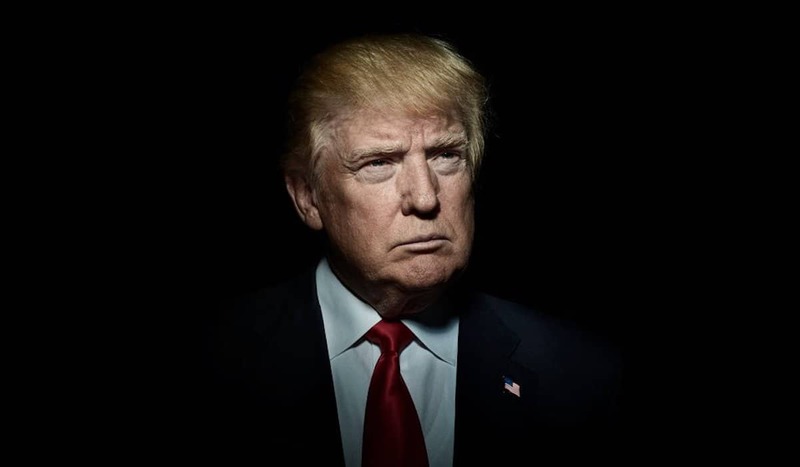 Throughout his career as a entrepreneur and real estate developer, Donald Trump has been able to build a worldwide empire that’s brought him billions of dollars. Despite the fact that he’s had his fair share of entrepreneurial busts, it’s hard to deny Trump’s business success when considering the fact that he reported having at least $1.4 billion in assets and hundreds of millions more in income on a financial discourse form he voluntarily released in June of this year. Because he’s become the first elected President not to release his complete tax returns since Richard Nixon, however, many questions about his business dealings remain. So how’d he become so successful? By taking into account publicly accessibly data that shows Donald Trump and his companies being involved in over 3,500 lawsuits in the past three decades, many of which expose shady business ties and fraudulent business ventures, it becomes clear to see that the President’s relied on unethical bareknuckled business tactics to amass his fortune. Moreover, by using his vast financial wealth as protective legal leverage, Trump’s been able to act as if he’s above the law and disregard the affects his actions have on others. Deception, distortion, denials and flat out lies, these are the many dishonest ways of Donald Trump. While the President may see his misleading and false claims as nothing more than truthful hyperbole, major news outlets and political wonks have become fatigued tracking all of his dishonesty. As of July 21st, the Washington Post had tallied up 836 false or misleading claims, or 4.6 each day, coming from Trump, and the New York Times’ running list of Trump’s most blatant lies shows that the President said something untrue each of his first 40 days in office. In addition to the all too common pattern of dishonesty, and oftentimes after his misstatements or lies have been publicly proven wrong, Donald Trump will resort to deflecting blame to others for undesirable situations and his own faults. Although Trump has sought to use a variety of different individuals as scapegoats, there isn’t a single person he’s deflected his problems to more than Barack Obama. From early on in the 2016 race for the Republican presidential nomination, it became apparent to see how Donald Trump unabashedly attacked, demeaned, bullied and threatened the individuals who speak negatively of him or undermine his self-image of personal greatness. In what is considered by many to be the most unfortunate of realities, the man who now leads the United States of America categorically emulates a playground bully and refers to his distinguished political colleagues with nicknames such as ‘Little Marco’, ‘Crooked Hillary’, ‘Crazy Bernie’, ‘Lyin’ Ted’ and ‘Cryin’ Chuck Schumer’. Drip, drip, drip. Ever since Donald Trump first took office on January 20th, a slow and steady trickle of news relating to his presidential campaign’s potential collusion with the Russian government has sent shockwaves throughout the nation’s capitol. In many ways, the ongoing investigation looking at the Kremlin’s involvement in the 2016 election, an investigation Trump deems a ‘witch hunt’, has prohibited the administration from carrying out their agenda and largely consumed the President himself. Seemingly each and every day, Trump has vented his frustration with the investigation, taken demeaning shots at key figures in probe, and gone as far to dismiss the idea that Russia meddled in the election all together. Unsurprisingly, the same unethical and narcissistic tactics of dishonesty, deflection and domineering have been on full display in regard to the unyielding inconvenience that is Russia. Considering the fact that Robert Muller, the special console appointed to investigate potential ties of collusion between Trump’s campaign and Russia, recently impaneled a grand jury to examine potential criminal activities in the case, we may soon learn that the president’s biggest lies still haven’t been exposed. Yet still, there are plenty of other examples when Trump acted dishonestly with various aspects of the Russian investigation. Just on July 31st, for example, it was reported that the president himself was behind a deceitful statement released by Donald Trump Jr. about the context of his undisclosed meeting with Kremlin connected figures we briefly touched on above. Not only has Donald Trump tried to pass responsibility to President Barack Obama for unfavorable circumstances such as health care, Syria and North Korea, he’s also sought to transfer blame to Obama and the previous administration in the Russia investigation. To date, Trump and his team have blamed Obama for the problematic vetting of Michael Flynn, for allowing the Russian lawyer Natalia Veselnitskaya into the country, and amazingly enough for not taking proactive action when the election meddling was taking place last fall, even though he’s also denied it ever happened. It was only three days after President Trump overreached his power by firing James Comey, the man leading the FBI’s Russia investigation at the time, that Trump went to twitter and offered a warning to Comey that he better hope there are no ‘tapes’ of their conversation before he starts leaking to the press. In what many consider a clear example of witness intimidation, Trump once again showed how he believes himself superior and above the law. The narcissistic mindset of Donald Trump becomes even clearer to see when considering the fact it only one day after firing Comey, while meeting with two prominent Russian officials in the oval office, that Trump boasted about firing the ‘nut job’ FBI director. Donald Trump meeting with Russian President Vladimir Putin on July 7th, 2017, at the G20 Summit. An egotistical leader with an unquenchable thirst for power and greed oversteps their boundaries before their inevitable fall. This is a tale history has told all too many time, and unfortunately for Donald Trump, one that it may be telling once again. The stories of Napoleon, Hitler and Nixon illuminate how men of great ambition are oftentimes also masters of self-deception who remain blinded to fact that their narcissistic mindset and above the law behaviors will ultimately become their greatest demise. When considering the mindset of Donald Trump, his lifelong quest for individual greatness and his callous disposition towards others, it becomes clear to see why many historians assume that the walls around him are caving in. In the end, his ability to change his ways could potentially save him from facing a fate similar to many of history’s egotistical giants but it’s seems more than likely that it’s already too late and also that he’ll forever remain unwilling to change. Based upon our examination of the psychological mindset of Donald Trump, it certainly isn’t unreasonable to assume that he suffers from a deeply-rooted narcissistic personality disorder which expresses itself in the form of emotional instability, dishonesty, deflection and domineering behaviors. By bringing this disposition and the unethical business tactics that made him rich into what’s probably the most distinguished professional position in the world, one that’s expected to be held with dignity and honor, it’s unsurprising to watch him turn nearly everyone against him, including his own intelligence agencies, the media and even members of his own political party. As he continues to put himself above the law, with the Russian investigation breathing down his neck, and his poll numbers continue to tumble towards 30%, the question of can he recover is slowly shifting to how long can he last. While only time holds the knowledge of the end of this tale, history’s past assuredly knows where it’s going.